MaxaMizer | LSP Industries, Inc. The MaxaMizer is a computer controlled, low pressure, airless spray system that increases production and improves quality of parts while reducing lubricant consumption. The MaxaMizer can dispense lubricant from as many as twelve nozzles. 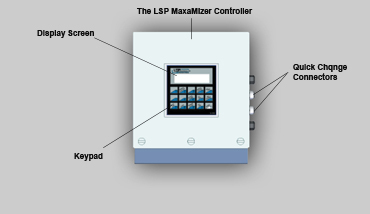 A LSP computer controls the spraying of the lubricant and can be located remote from the manifold and the nozzles. The manifold can be up to eight feet from the controller and the nozzles can be up to eight feet from the manifold for a total of sixteen feet from the LSP controller. The simplicity of the LSP MaxaMizer allows the lubricating systems to be set up in a matter of minutes on the press. 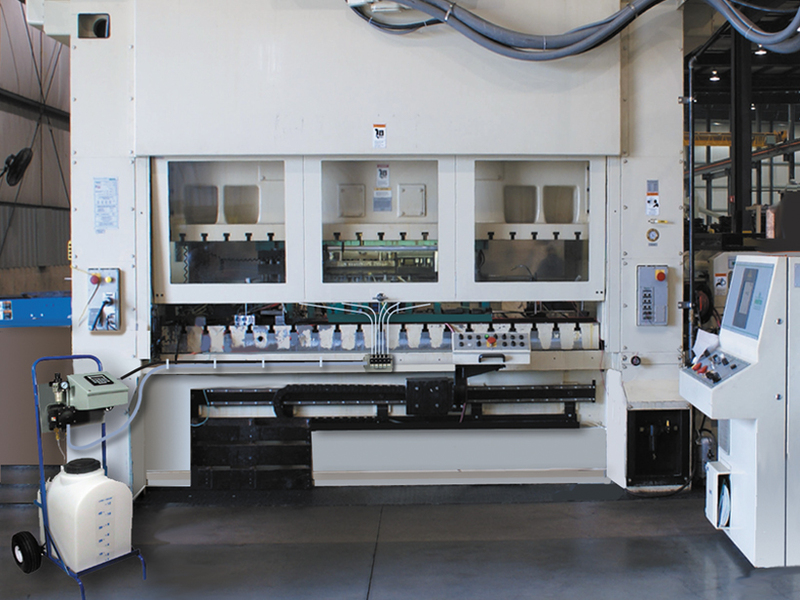 Ideal for large stamping presses, transfer presses, roll formers and other types of metal forming machines. A diaphragm pump supplies lubricant to the nozzles upon demand. 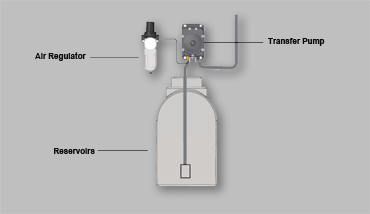 A sensor identifies an object and sends a signal to the controller on each cycle of the press. The controller then opens the valves controlling each nozzle and allows lubricant to be forced to the nozzles in accordance with the sequence programmed into the MaxaMizer. The MX-2008 is a module system with two 4 port Manifolds for 4 Nozzles each. 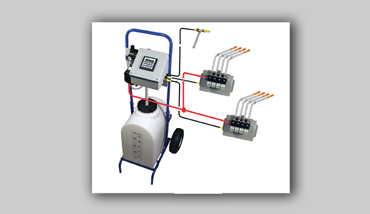 The system is shown mounted on a PortaCart with a 12 gallon Reservoir for extra flexability. Easily disconnected from one machine and moved to another as needed. 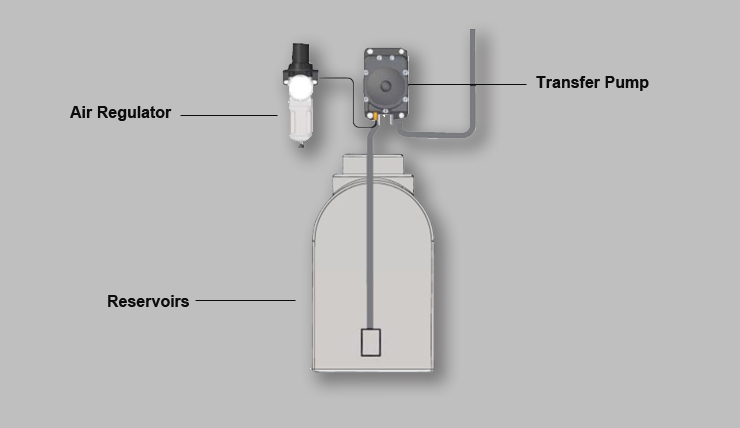 PortaCart, Reservoir, Nozzles and Tubing are ordered separately. Heavy duty long chain polyethylene reseroir gives a clear view of the fluid volume and transfer pump delivers up to three gallons per minute to the system.